Established in the year 2008, at Mumbai, (Maharashtra, India), we, “Superior Overseas,” have gained recognition as the leading manufacturer, exporter, trader and supplier of a premium quality range of Ferrous & Non Ferrous Metals. Our product range includes Copper Products, Inconel Products and Stainless Steel Products. The offered products are manufactured using high quality raw material and advance technology under the supervision of our experts in compliance with the international quality standards. The raw material which is used to manufacture these products is sourced only from the certified vendors of the industry These products are widely acknowledged for corrosion resistance, compact design, perfect finish, easy to install, unmatched quality and durability. Moreover, we offer our product range in various technical specifications as per the requirements of our clients. Using the best quality material by our adroit professionals, we are successfully providing a wide range of products. We are progressing in the industry with the strong support of our state-of-the-art infrastructural facility. For smoother work flow, we have segregated our infrastructure into different unit such as Manufacturing unit, Quality testing unit, R & D unit, Administrative unit, Sales & marketing unit, Warehousing & packaging unit and Logistic unit. Entire units furnished with modern machines and latest technology. Our manufacturing unit is talented in producing premium quality products in order to meet clients’ segregated requirements. Also, we are backed up by an experienced team of experts with excellent business insight and great expertise to aid us in updating technology and machines used. Also, in order to impart the knowledge of our professionals and keep them up-to-date with the high end technologies, we conduct various training sessions at our firm. We introduce ourselves as the competent manufacturer and supplier of products. Our quality controllers examine the entire process of manufacturing, right from the procurement of raw material from vendors to final dispatch of the product. To maintain quality, we have an experienced quality testing department that is fully equipped with advance testing machines and contemporary technology. 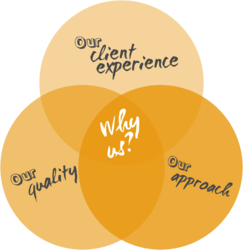 Moreover, we are a client centric firm and we aim high to achieve the maximum satisfaction of our valuable customers. In addition to this, our easy payment modes, transparent dealings, client-centric approach, competitive price range and ethical business policies have placed the firm achieve immense success. By offering a flawless range of products in the market, we have gathered a huge client base all across the country. We are exporting our products in all over the world. Under the proficient guidance and direction of our proprietor, “Mr. Hemant Bokadia”, we are able to attain the maximum satisfaction of our clients. Their ample knowledge and experience also helps us to position ourselves as a reputed name in the industry. Backed by a team of adroit professionals, we are manufacturing and supplying an extensive array of products. Our highly experienced quality controllers ensure that the products are manufactured from optimum grade raw material that we procure from the reputed vendors of the market. Further, we never forget to get the feedback from our clients and bring changes receptively. Our well-equipped quality testing unit allows us to stringently test our products to assure that defect free range is delivered to the clients. Our organization is backed by the state-of-the-art infrastructural facility that spreads over a wide area for manufacturing world class quality products. Our infrastructural facility is divided into procurement, manufacturing, research & development, quality-control, warehousing, packaging, etc. those are handled by our experienced professionals. Additionally, we regularly upgrade and maintain for these machines to ensure their proper functioning and enhanced production. Our firm specializes in offering a qualitative assortment of products. Our offered products are manufactured using superior quality raw material and latest technology in compliance with international standards. The raw material we use to manufacture these products is procured from reliable vendors of the market. 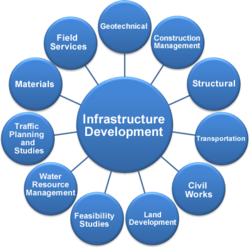 We offer these products in various specifications as per the requirements of our clients. Our easy payment modes, transparent dealings, customized solutions, timely delivery, ethical business policies and reasonable price have helped us in garnering a wide clientele spread across the country.